Have you ever found yourself with a broken pair of expensive glasses just because it accidentally fell off your face for some reason? If so, then getting a sunglasses strap will certainly prevent that from happening again. A sunglasses strap intents to protect your eyewear from accidental falls by attaching to your glasses’ temples while it’s around your neck. These eyewear accessories are especially useful for individuals who love to move around, or for persons with a job that requires some physical activity. Nevertheless, anyone who wears eyeglasses or sunglasses should have at least one sunglasses strap at their arsenal since no one can tell when your favorite glasses will accidentally fall off. A sunglasses strap gives you the best convenience especially if you’re someone who loves wearing sunglasses. When you get to a shaded area, hang them off your neck, and once you get back to a sunny spot, simply put them back on. It is that easy! However, in every practical accessory comes the next question: how fashionable are they? Since you’ll be wearing them most of the time, it’s just reasonable for you to ask for the best & unique-looking eyewear retainers. 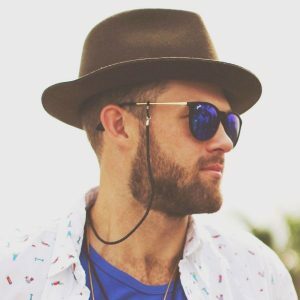 We have collected 12 unique sunglasses straps you should wear this 2019! Sunglasses straps were popularized by contractors, fishermen, golfers, etc. 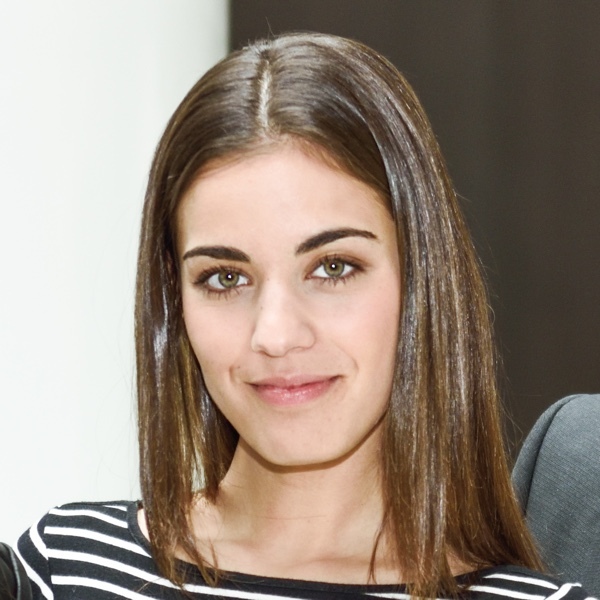 because of their helpfulness in their respective professional fields. These straps were then made famous even more by southern-state fraternity men. Thus, people soon realized its usefulness to every individual. One problem these straps face is getting updated for modern fashion which we hope to help address by bringing you the most stylish straps. If you’re someone who owns expensive sunglasses, you’ll undoubtedly get angry and sad if they get scratched because of some random clumsiness, right? Then let me rid you of that worry as we present you the most fashionable straps not available in stores! Who says you can’t put gold along with your eyewear? 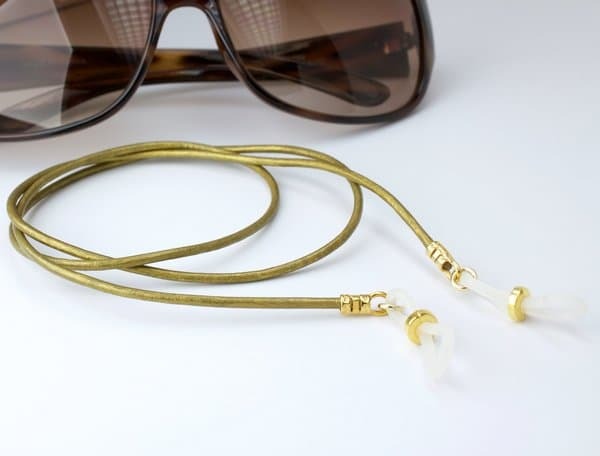 Complement your luxurious pair of glasses with this fancy sunglasses strap and steal the attention of every person you come across to on your sunny day shopping! This glasses strap includes a durable rubber loop that clings perfectly to your sunglasses’ temple. 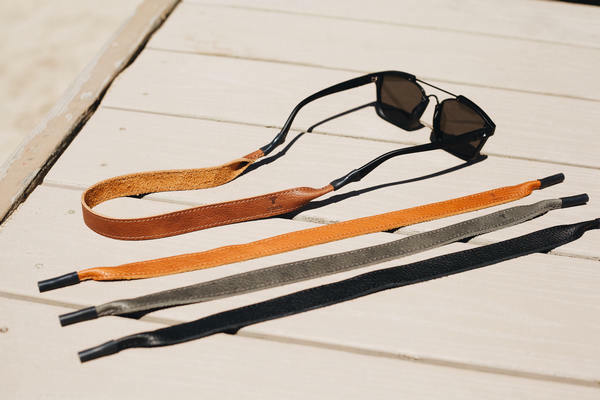 Treat your new pair of sunglasses like gold by pairing it with this strap. If you have a taste for extravagant yet old-schoolish accessories, then the Stunning Beaded Chain Eyewear Retainer is a must for people like you. Pair this sunglasses strap to a retro pair of shades and complete your night-out by going to an 80s-themed club party! Secure your eyeglasses while staying guilt-free with the Flat Vegan Suede Leather Sunglasses Strap. This retainer is made from handcrafted vegan suede leather meaning no animal was harmed during its making. Sporting a simple yet elegant appearance, this sunglass strap can be paired easily onto most types of glasses, be it your luxurious Oakley glasses or your fashionable Miu Miu eyewear. Still hungover from your last beach getaway? 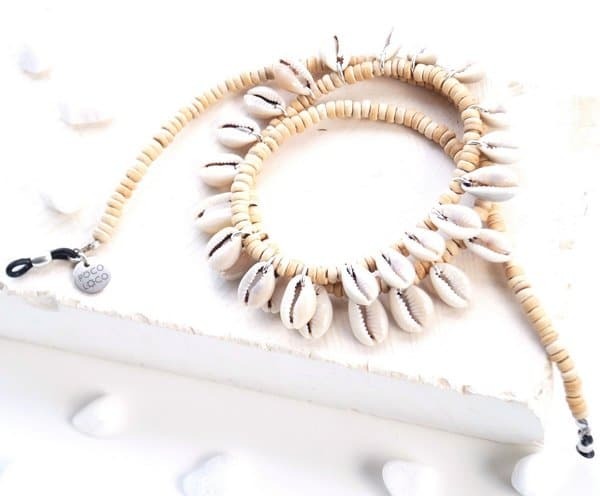 If so, then relive the moment every day and everywhere you go with the Shell & Wooden Beads Sunglass Strap! Handmade and stylish for the summer season, this sunglasses strap is a sure hit for all the beach-goers out there. Another vegan leather entry for the best of the best sunglasses strap. Not only that vegan leathers eliminate your guilt, but it also lets you ride the trend of responsible fashion movement perfect for spreading your advocacy. The Braided Vegan Leather Eyeglass Strings also sports a pair of durable rubber loops that fits tightly to your favorite polarized sunglasses. 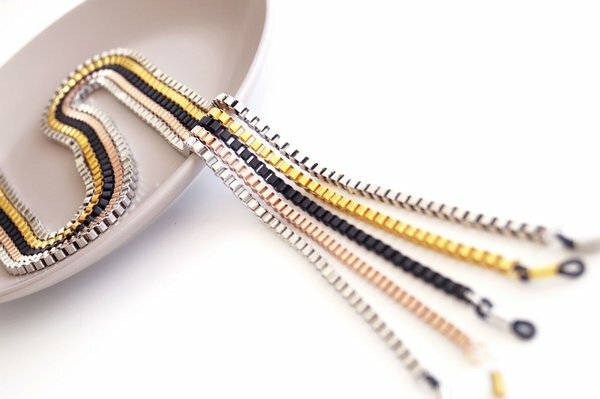 If you’re looking to wake up the fashionista inside you, then getting one of these Minimalist Beaded Eyeglass straps is going to be your best bet. Exuding a monochromatic color profile combined with a dainty chain strap, this eyewear strap pairs best with your fashionable pair of eyeglasses. Don’t miss out on this opportunity and get to be the fashion trendsetter at your office. The Classic Thick Chain Sunglass Retainers are sure to steal anyone’s heart just by looking at it. Only by the feels of touching its thick and smooth golden chain, you could undoubtedly tell that it’s made for those with a taste for old-school luxury. One of the best features that this strap has is its transparent silicone loop attachment which creates an illusion that it’s built right onto your sunglasses. The Fashion Box Chain Sunglasses Strap captures the heart of those with a taste for modern accessories. Stay ahead of the curve and be a fashion trendsetter in your own community. Its unique box chain composition makes for an eye-stealing accessory perfect for your weekend gatherings. Get a fresh retro look by pairing the Vintage Chain Sunglasses Strap with your favorite old-school pair of sunglasses. Wear them on together whenever you go to your parent’s house on the weekends and impress them with your fashionable taste. You can even give them another set of these straps and together enjoy the benefits of securing your pair of eyeglasses. Getting tired of the same look whenever you wear your old-time favorite sunglasses under the summer heat? If so, then getting the Stylish Black Beads Sunglasses Strap is one of the best investments you can buy. Aside from giving you that stylish & elegant look everyone’s been wanting, it also sports an adjustable rubber grip for effortless installation and tight fit. The blessings don’t stop there as its authentic acrylic beads are strung together using durable and flexible steel cable. Get it now as it’s not available in local stores. 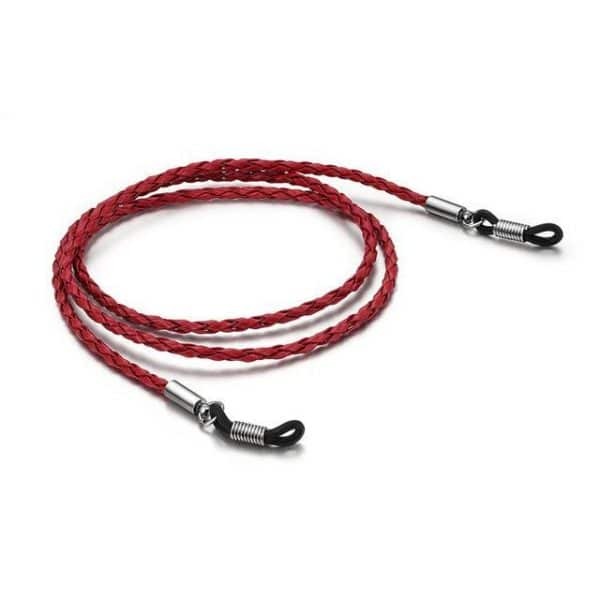 The Round Rope Sunglasses Strap is undoubtedly a unique accessory because of its youthful & happy design. Perfect for both the young and the feeling young, this fashion-forward eyewear retainer unquestionably upgrades your get-up. Easily install it onto your glasses’ temples and secure it from now on. In contrast to the vegan leather accessories presented before, this sunglass strap appeals more to those with a taste for classic accessories. The Classic Leather Sunglass Retainer sets you apart from your young peers as it sports genuine heavy duty leather! The Chic Tassel Chain Sunglass Strap combines the best of modern fashion and old-school get-up. Tassels have been used as a garment ornament for many centuries now adding up to its familiarity. If you want to get a chic look, then get it for your glasses now. Its eye-catchy colors combined with its thick, sturdy chain upgrade your fashion sense. Exuding genuine leather combined with durable nylon cording, your pair of glasses is as secure as a bank! The Sturdy Leather Adjustable Strap rids you of your glass-slipping problems. It even comes with a silicone loop that fits snuggly onto your eyewear’s temples! The Snack Chain Sunglasses Holder gives you an uncommon yet stylish look with its unique snake chain design. It strikes the heart of fashionistas aiming to stand out from the crowd. Wear this everywhere you go and let it’s charm allure others! Exuding a rustic golden color combined with stylish leather, the Golden Leather Sunglass Strap is definitely a no-brainer choice. Its translucent grip makes it look like as if it is floating while its stylish golden color blends perfectly to your skin. Last on the list is an accessory made to let you stand out on your next club night. The Soft Retro Sunglasses Strap sports a super comfortable cotton strap perfect for everyday use. Pair this up with your old-school quiff hairstyle and get-up to steal your crush’s heart. To ensure that this sunglasses strap won’t break while you’re on the dance floor, its silicone loop is reinforced with high-quality metal. On choosing a sunglasses strap, one would always have to consider the style they want to project. Your eyewear may look either casual or formal. Hence, getting a strap that matches your glasses’ style upgrades your get-up as a whole. Take note of the latest sunglasses trends though, so you can decide whether to join the bandwagon or get a more different style. When it comes to your strap’s positioning, show it off by placing it closer to the lens. If you want a more subdued look, you can set the loop closer to the end of the temple. Buy as many unique straps as you can so you’d be ready for every occasion!